Take a read of my last monthly family travel round up. I’ve also got my self organised and relaunched my regular newsletter. I’m going to be sending it out every few weeks and each one will have a theme. Let me know if there’s a particular topic you’d like me to cover. The first one is all about our travels in Italy and Devon during the past few months. If you’re not already signed up then pop your details in the form here. We spent three weeks of our summer holiday away from home: two weeks in different Devon locations – Hartland, North Devon and Hartland, North Devon – and the third on Lake Garda, Italy. I do love the UK and our home county in the South West of England. But Lake Garda stole my heart. There was something so luxurious about holidaying next to a lake and hopping on boats to explore rather than setting off in the car. However, we did do one Italian road trip from Lake Garda to Venice! Read more about fun things to do in Lake Garda with kids. It wasn’t hard for our travels in Italy to overshadow some great adventures at home in the UK too. We spent two weeks of our summer holiday in Devon; first exploring North Devon and then Seaton in East Devon as part of an organised press trip. The best days out are the ones that are a bit of a challenge but leave you thinking: ‘I’m so glad we did that’. We had our fair few over the summer including our day in Venice and me attempting a festival on my own with two young kids. But another day out that left me bubbling over with pride was our visit to Go Ape in Exeter. It was such a thrill to take Baby on her first high ropes adventure. She was a little star! I’ve been so impressed by a rucksack that Mr Tin Box bought for his weekend in Rome earlier in the year. The Osprey Farpoint 40 has come with us on all our travels and is super versatile. We’ve used it as a weekend bag, family hand luggage and as a day bag during adventures. I will get round to reviewing it properly at some point but if in the meantime you’re looking for a rucksack that’s ideal hand luggage then check it out*! My most read new post in the past three months is my guide to great family events happening this Christmas. Yes, I’ve written about the festive season already, but it seems to be what you guys want to read! 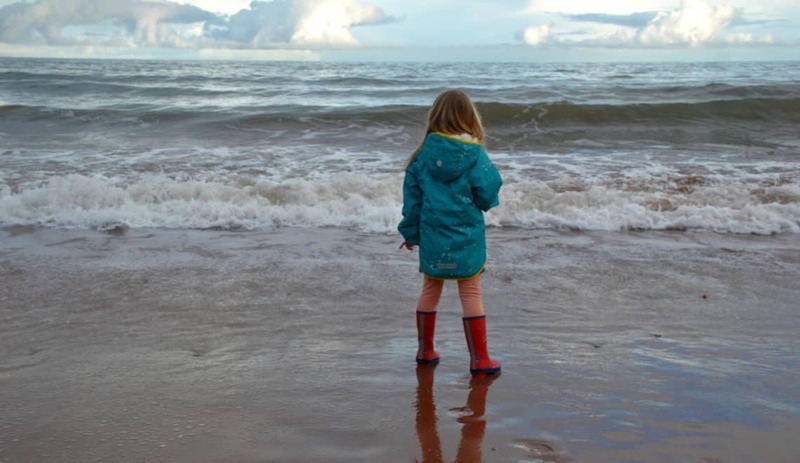 I’ve also written about Christmas days out in Devon this year, which is proving popular too. I’ve also been featured on Thomas Cook’s blog about travel tech and been featured in The Sun’s Savers column talking about caravanning meals. It’s not long until October half term. The Tin Box girls and I will be off on a road trip during which we’re meeting up with the Tin Box grandparents in the North of England. Our adventure starts in Calderdale, Yorkshire, from were we are heading south to Gloucestershire and then Salisbury in Wiltshire. Keep an eye on my social media (links below) for updates from our trip! *Disclosure: this post contains Amazon affiliate links which means I may earn some advertising fees if you click on an affiliate link and make a purchase. You will not be charged extra for this. This post also contains links to content where we have been sent something for free to review it or have been on an unpaid press trip during which we have produced blog posts and other content for a brand.